Vegetarian Archives - What the Forks for Dinner? 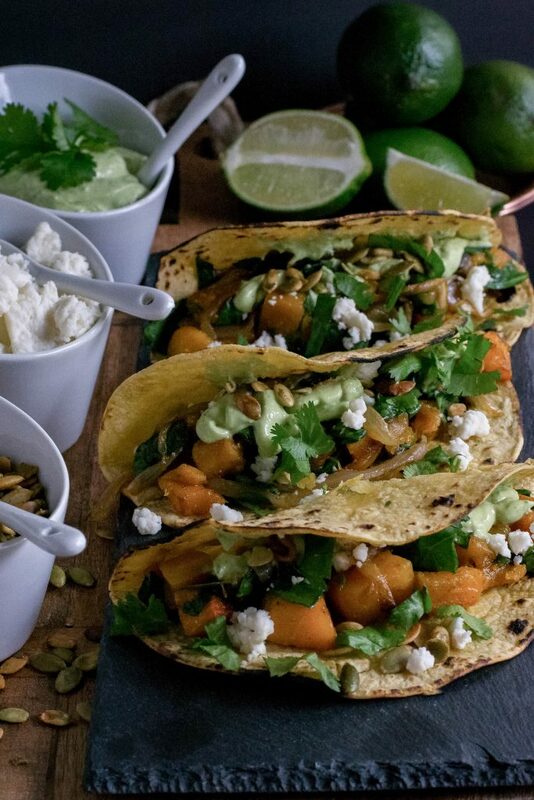 Roasted Butternut Squash Tacos are so delicious you won’t even miss the fact that they are vegetarian. 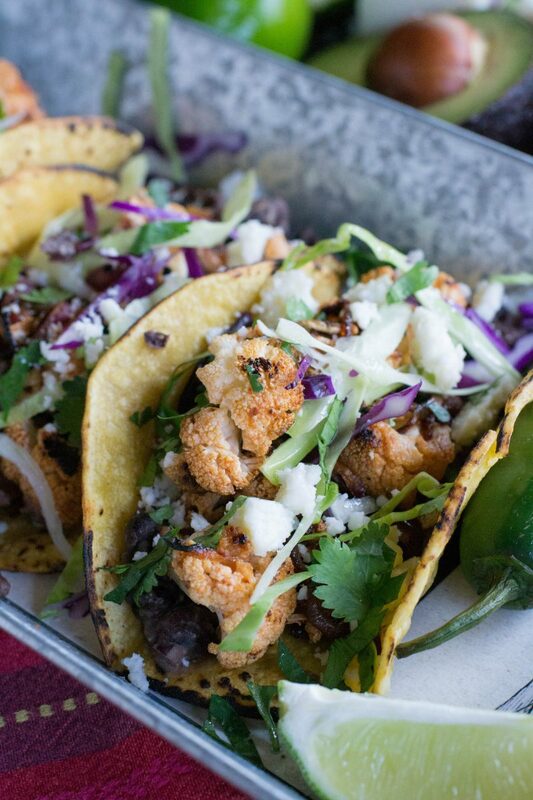 How do you improve on tacos?? Make them vegetarian without tasting vegetarian. Butternut squash is a fall must cook, sweet and nutty with a firm texture that roasts like a dream. Trying to eat healthier, trying to cut back on meat, and eat more veggies?? 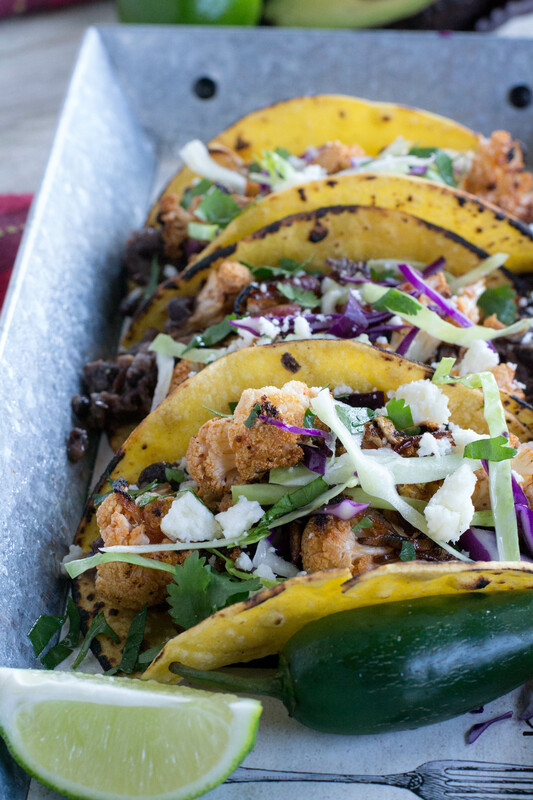 Chipotle Lime Cauliflower Tacos are for you! Looking for a quick and easy meal? 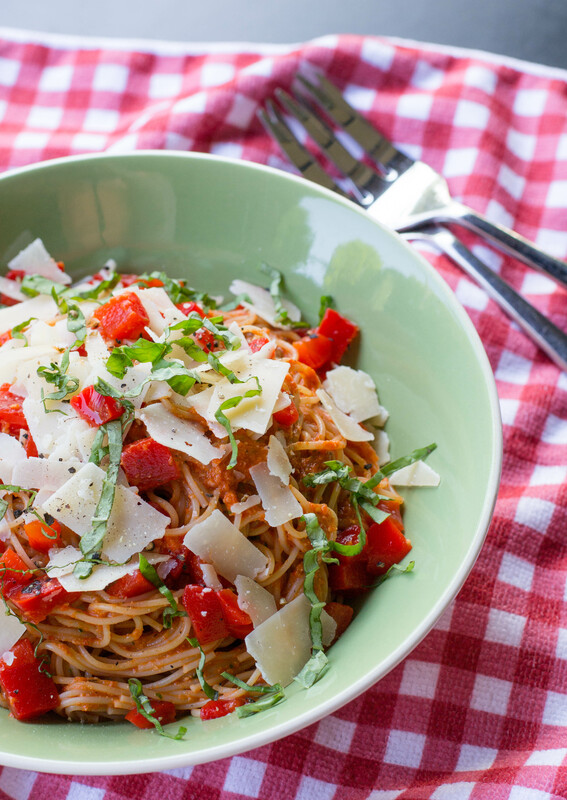 Roasted Red Pepper Pasta to the rescue! 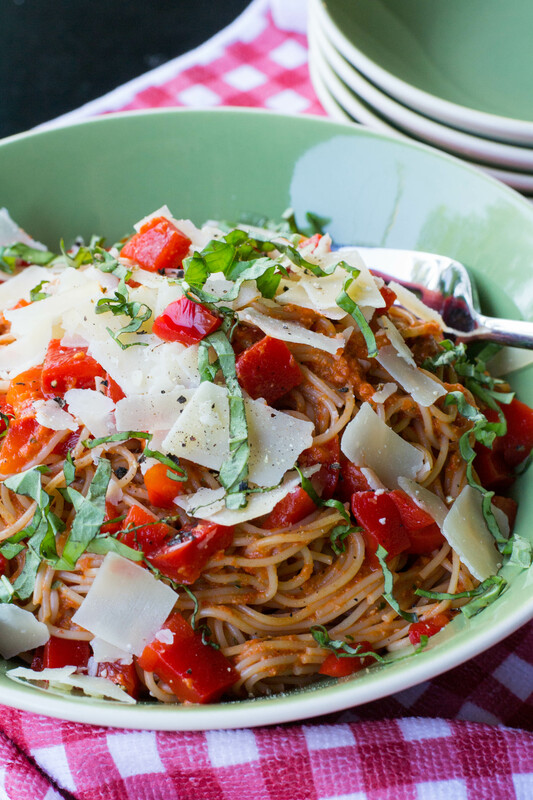 This pasta is super duper easy, and will have you from stove to plate in a flash. Roasted red peppers in a jar are a God send in the kitchen. No work ……all the flavor. Roasting red peppers is great when you have the time but when you don’t…..grab a jar. Drain and chopped, the red peppers are added to walnuts, basil, a smige of sugar, and garlic. I also added a pinch of red pepper flakes for a touch of heat. Blend in a food processor, or blender. Leave it a bit chunky…..pesto like. 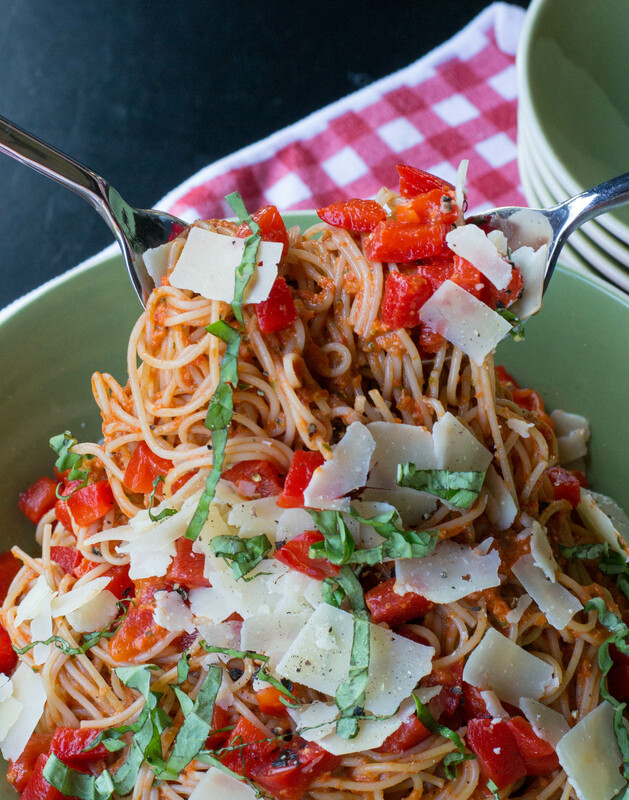 Angel hair pasta is one of my favorites. 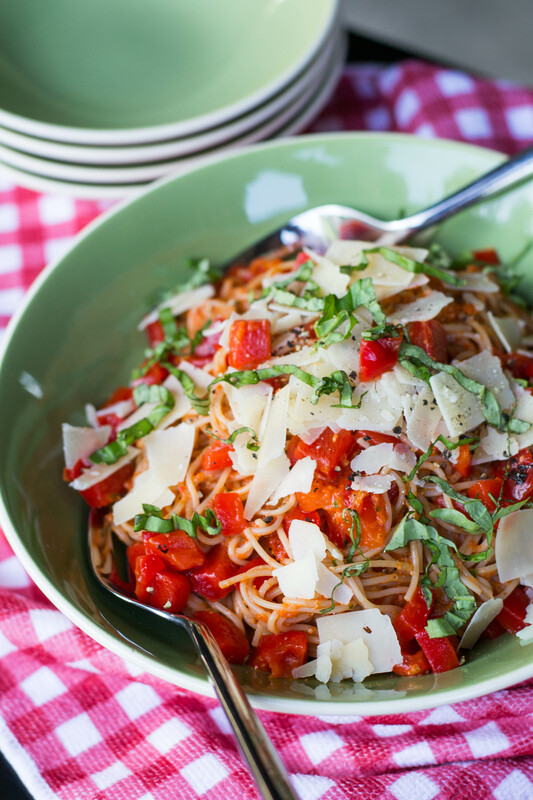 It cooks in just a few minutes, so when you want something easy it a good to go pasta! Drain the pasta and give it a quick rinse, then toss with the red pepper sauce. Garnish with the reserved red peppers and basil. Dinner is ready!! 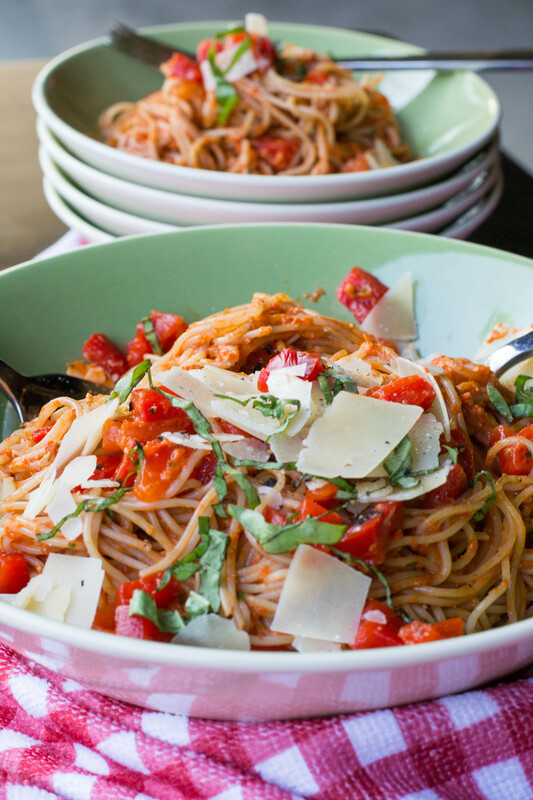 Serve Roasted Red Pepper Pasta with some crusty bread and a salad and you have a quick easy dinner thats on the table in a flash. Drain and chop the peppers, reserving 1/2 cup for garnish. In a small skillet, toast the walnuts over moderate heat until golden, and let cool. Transfer the peppers and walnuts to a blender. Add the garlic and basil leaves, blending until coarsely chopped. Add the olive oil and puree to a chunky pesto. Season with salt and pepper and red pepper flakes if using. Cook pasta until al dente. Drain and cool slightly under running water. 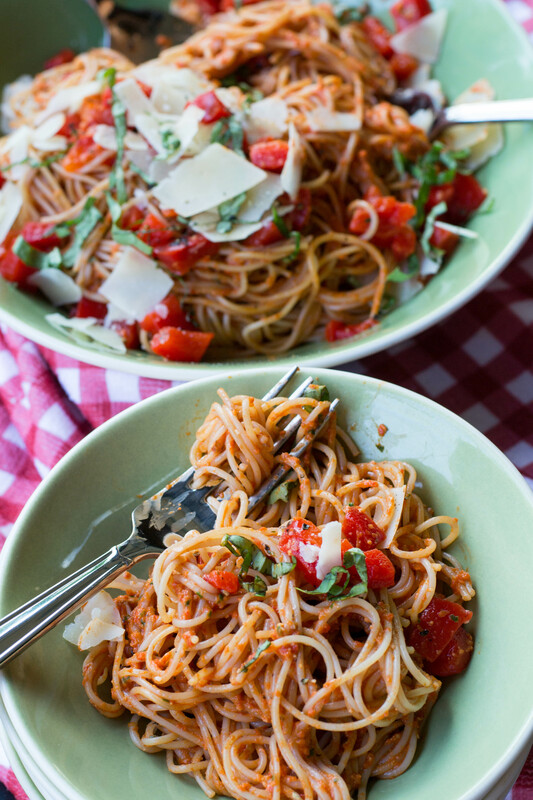 Transfer the pasta to a bowl and toss with the red pepper pesto. Season the pasta with salt and pepper. Top with the chopped basil, reserved red peppers and parmesan cheese. Serve at room temperature.